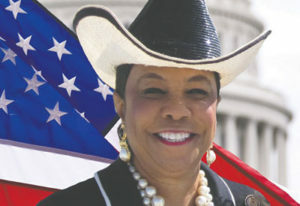 Congresswoman Frederica S. Wilson is a fourth-term Congresswoman from Florida representing parts of Northern Miami-Dade and Southeast Broward counties. A former state legislator and school principal, she is the founder of the 5000 Role Models for Excellence Project, a mentoring program for young males at risk of dropping out of school. Congresswoman Wilson also founded and chairs the Florida Ports Caucus, a bipartisan taskforce that coordinates federal action in support of Florida’s harbors and waterways. The Florida lawmaker sits on the Transportation and Infrastructure Committee and the Education and the Workforce Committee.